A friend of mine recently threw a B-day party for her 3-yr-old daughter, with a “Trolls” theme. She had me draw up a full-size troll doll on a foam board, then cut out an oval hole the size of a kid’s face (instead of the Troll’s face). She had kiddos at the party stick their faces in the frame, and took pics of each. Parents took pics with their phones also, and everyone got some really cute shots. What a great idea! Unique for the kids and lots of great photos out of that! What interesting character could you do the same with at your party? Usually cotton candy machines only make appearances at carnivals and festivals. But did you know that they are very inexpensive to rent? And did you know that anyone can make the cotton candy? Whether for kids or for adults, find a party rentals company and rent one for the day for your party! They always throw in a carton of cotton-candy mix, and they always give you a quick crash-course in how to use the dang thing. Have parents take turns manning the machine – very easy, very fun, kids will go nuts, and we adults (even though sometimes ashamed to admit it) still love cotton candy too! In the day and age of high-speed internet, big-screen TVs, and free youtube videos, you don’t necessarily need a DJ! Of course you always need music at your party (even if just to play lightly in the background), so why not pick a kid-friendly youtube “playlist” of music videos and play them on your big-screen during the party? It gives the shy attendees something to watch a little, and gives the kids something to dance to! For kid-friendly music videos, simple search for “kid’s party” on youtube, or check out a “Kidz Bop” playlist. Free and easy snazz to make your party hop. Water parties are super-fun, and can be a theme in and of itself! Have kids wear their swim-suits, bring a towel, and a water gun (have some dollar-store water guns ready as extras). Then if you have the budget, rent a water-compatible bounce house – or just any bounce house, and put a couple sprinklers on each side of it. H20 + bounce = crazy-fun. Or if on a limited budget, just whip out the sprinklers, plastic kiddie pool, and some bounce balls and toys. For toddlers, put out water buckets, sponges, bowls and pitchers. Anything they can get their hands (or bodies) into counts! This one is simple, yet profound. Dollar-stores have name-tag stickers, so pick them up along with a few colored markers, and make everyone who arrives put one on. You want folks mixing with one another, and kid’s learning each other’s names. If folks can see those, it makes it much easier to approach someone you have never met before and strike up a conversation. To make this even more fun, have them add their favorite food or dream vacation location or favorite restaurant at the bottom of their name tag. Then they also have an interesting talking point to talk to that new friend about. Another fun and easy and inexpensive party idea: Kids love decorating cookies, and/or making their own pizzas! So buy some ingredients, set out a big table for a “creation station”, and bring out everyone’s inner artist (or inner Chef)! You have to feed them anyway – might as well make their food a fun craft! Include some “unique” ingredients, like whipped cream and chocolate syrup for cookies, or BBQ sauce and chicken for the pizza. Okay – insider secret: The best party I ever threw included a bounce house “combo” unit, complete with slide and obstacles. It’s like a normal square bounce house, but bigger – with the added features. If you are going to spend money on a bounce house, might as well throw in an extra $40-50 on the rental and make it a really COOL bounce house unit. The great thing here is that it was big enough for adults too, and they had just as much fun as the kids! Everyone was on it well after the party had ended, and it’s great exercise – I can promise you that night, everyone slept really good. This one is part shameless plugin, part informational. A sure-fire way to make sure your party or event is a big step above the rest is to hire a pro. 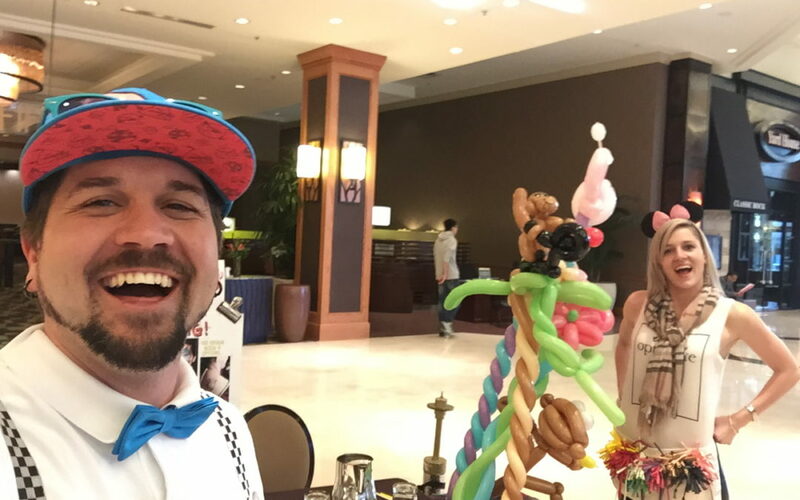 We offer the “big 5” of artist-entertainer services of course: face painters, balloon twisters, caricature artists, henna tattoo artists, and airbrush tattoo artists. But other recommendations to give your party some serious entertainment value is to hire a magician for a magic show, a DJ for a great dance party, or a costumed-character for your theme (like a Princess, or Avenger-in-costume, favorite kiddie cartoon character, etc). No matter what you choose, this takes the pressure of entertainment off of your shoulders – and creates unforgettable experiences for your party that no one (including you) will soon forget! Best for last… Whether it’s a birthday, or a retirement party, or any other type of party honoring a certain special someone – create a brief space for the people who love them the most in their life to affirm them. We had some friends who had 4 kids and did this at every party, and it added a deeper level of meaning to each special day. When it was time for cake and singing the birthday song, instead of mom or dad putting the candles on the cake, they invited siblings, grandparents, and best-friends to each take a candle and say something about the b-day kiddo. One by one each family or friend who had a candle would say a few words about the honoree and put their candle on the cake. What a special time! Kids (and adults) will remember these “blessings” from their loved ones for years to come. Talk about making the birthday boy or girl feel special!